Last weekend the hubs and I ran around with our capes because we were SUPER AUNT and SUPER UNCLE. We drove hours and were the cheering section for my nieces Cheer Nationals Competition and my nephews District Swim meet!!! Those kiddos seriously ROCK! 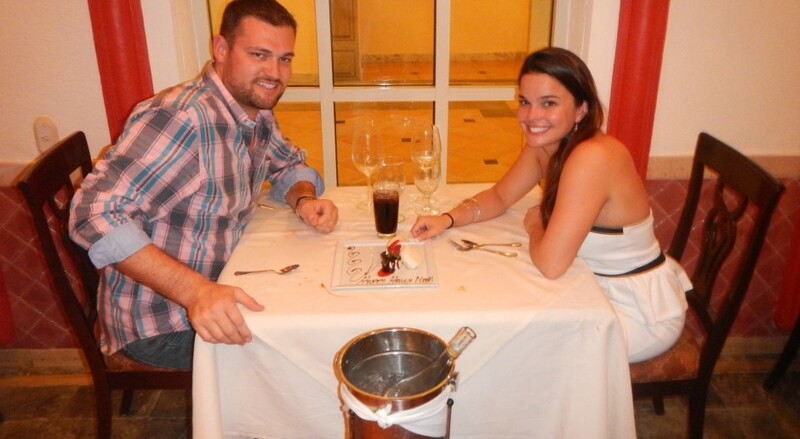 We decided to make it a whole weekend for us. So we spent Friday night in downtown Harrisburg and stayed at the Hilton, and on Saturday night we stayed with some friends in their BEAUTIFUL new home!!! 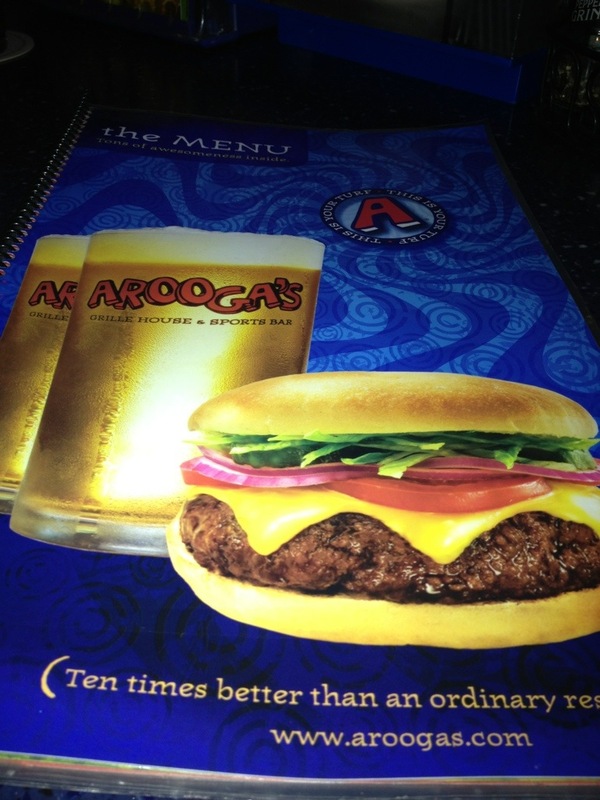 Friday afternoon we drove to Harrisburg early so we could make it out for happy hour and bar hop around our State’s Capitol… no pictures in front of monuments or the Capitol building for us… It was all about the FOOD and BEER photo-opts! First we got a couple drinks at the Bar in the Hilton and pre-gamed with some delicious homemade fried bacon and mac and cheese balls. (sorry no pics. the hubs inhaled them). 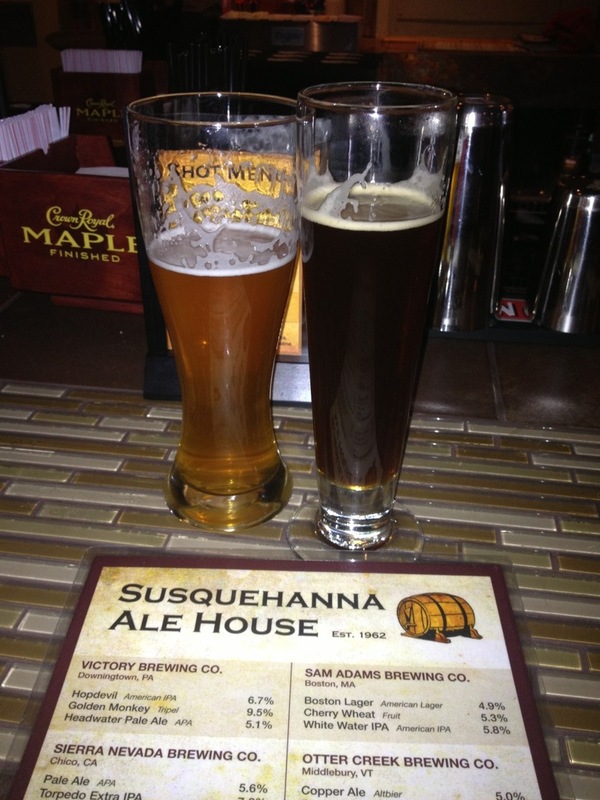 Next we decided to check out a new bar called The Susquehanna Ale House. 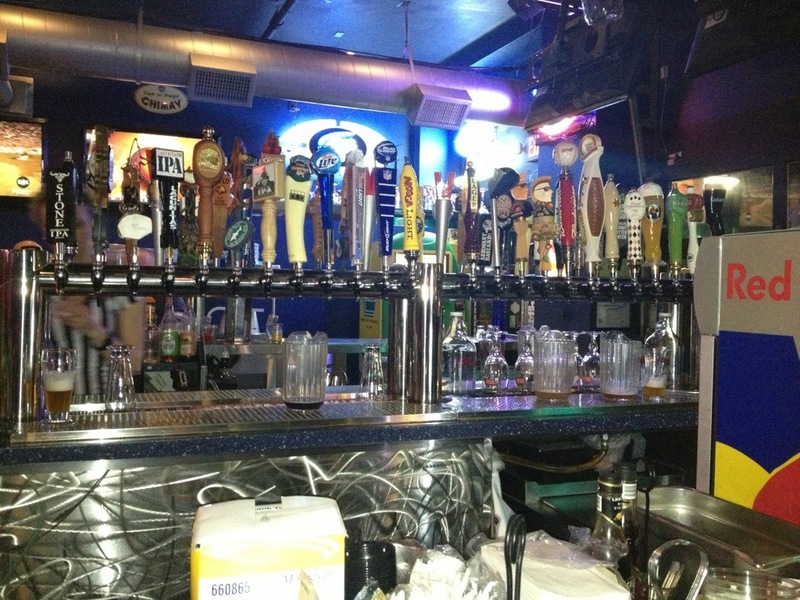 A bar that is all about the beer and offers 70 craft beers!!! I had a Rouge Ale from Newport , OR called Hazelnut Brown Nectar Ale with 6.2% alcohol… which was an amazing dark beer with a hazelnut aroma and a smooth nutty flavor! LOVED IT!!! My next brew I decided to go with another dark beer that I never had before from Troegs Brewing Co, PA called Javahead Stout with 7.5% alcohol. This was amazing! I mean how can you go wrong with COFFEE and BEER!?! 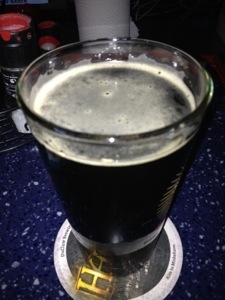 The Javahead Stout has a lush flavor of cocoa and coffee flavors. A MUST TRY!!! 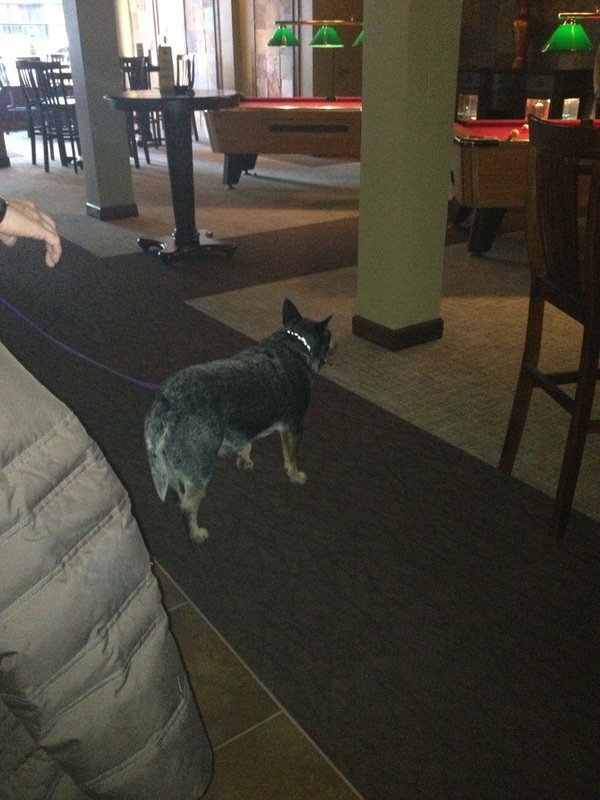 Also at the Ale House we made friends with a couple from Texas who had their dog Mara in the Bar… and no Dad, he wasn’t the BARKTENDER!! 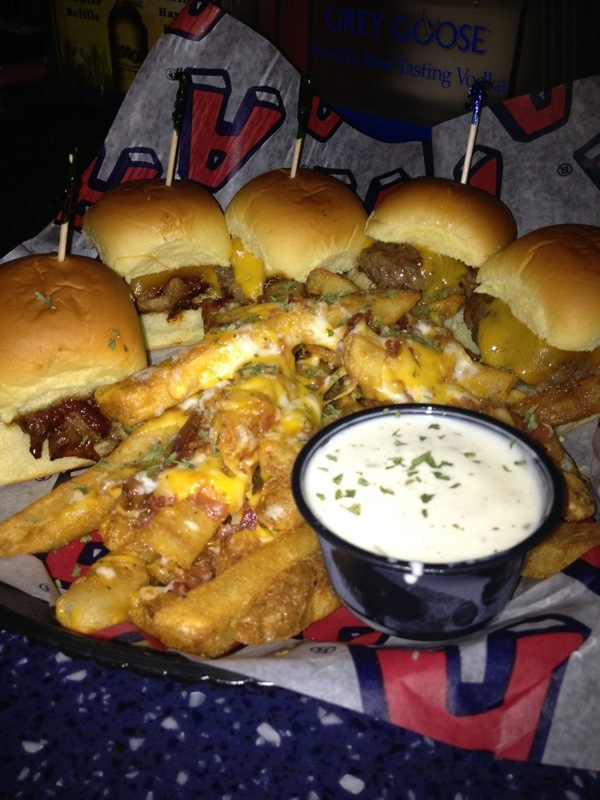 On top of all this amazing beer testing… we decided to go all out with a slider sampler with loaded fries… finger lick’n goodness!! I think I am still recovering from all the running around, driving, and eating this weekend!